In view of emerging 10G Ethernet requirement, Caledonian put forward 10G fiber solution, MATRIXLIGHT system. MATRIXLIGHT is a 10G fiber system offering OM3 50/125 fiber cables and single mode fiber cables in full compliant with IEC 60793-2 and TIA 492AAAC DMD. Working with VCSEL, the OM3 fiber cable can support 10Gbps transmission speed over 300m, complying to ISO/IEC11801-2 nd standard. 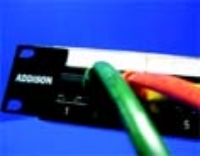 Caledonian OM3 fiber cable can support low cost 10G serial transmission technology. In 10G Base-SR, there are two operating bandwidths One is the 1500/500 Mhz.km and another is 2000Mhz.km, both supporting 850nm light source, and generally support backbone and fibre to the desk solution. Caledonian OM3 fiber cables works in full harmony with the fiber patch panels and components in order to support the existing network topology and can be deployed in either the backbone or horizontal cabling. 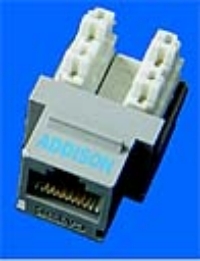 Lastly, Addison single mode cable features a very low attenuation of 0.7dB/km, which significantly increase the transmission distance from 5 Km supported by 1Gbps to 40 Km supported by 10G.